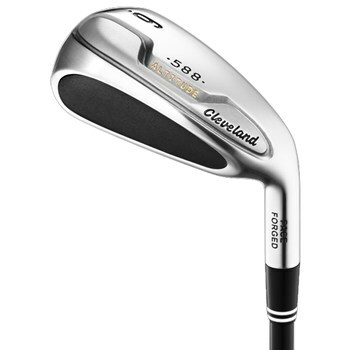 • Feel and ball speed are enhanced with the forged face of each iron. • Blended hybrid iron set makes every club very easy to hit with maximum performance and forgiveness. • Strategically placed internal weighting adds greater forgiveness and provides a lower, deeper cg for ideal launch. • The lie angle on 588 Altitude irons can be adjusted as much as 2 degrees flat or 3 degrees upright to fit different swing types. Plus, loft can be adjusted 2 degrees weaker or stronger.